There are times when you find it difficult to calculate the monthly or yearly amount that you have to repay, in case you have taken a loan. 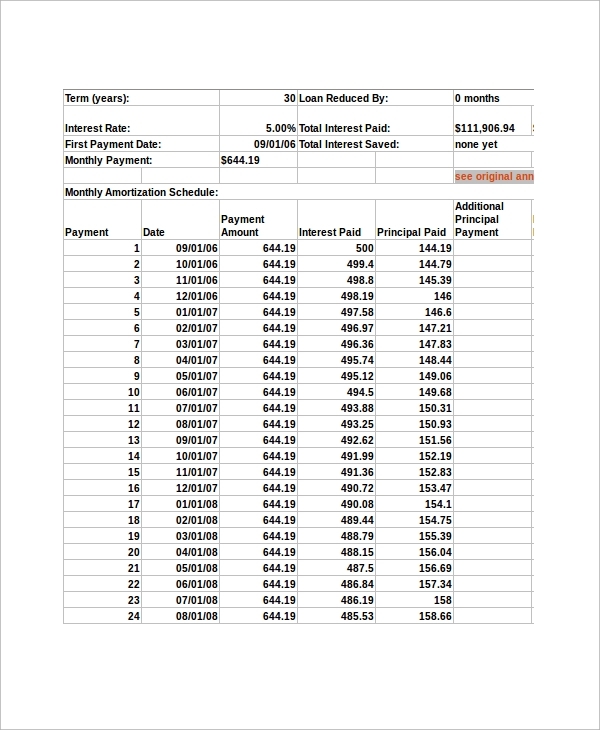 An Excel Amortization Schedule is of perfect utility here. It helps you to calculate the amount of money you need to pay from time to time to repay the total amount of loan. 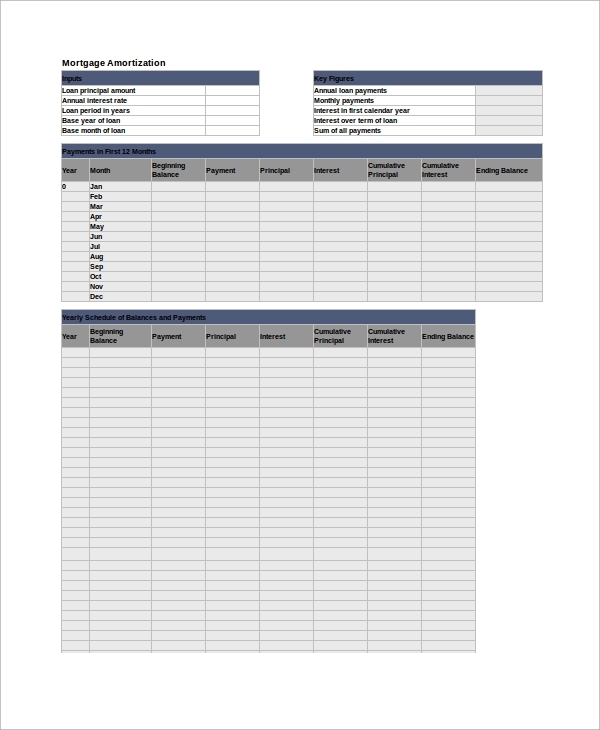 It is inclusive of the interest and here are some commonly used Schedule Templates in Excel that may be helpful to you. 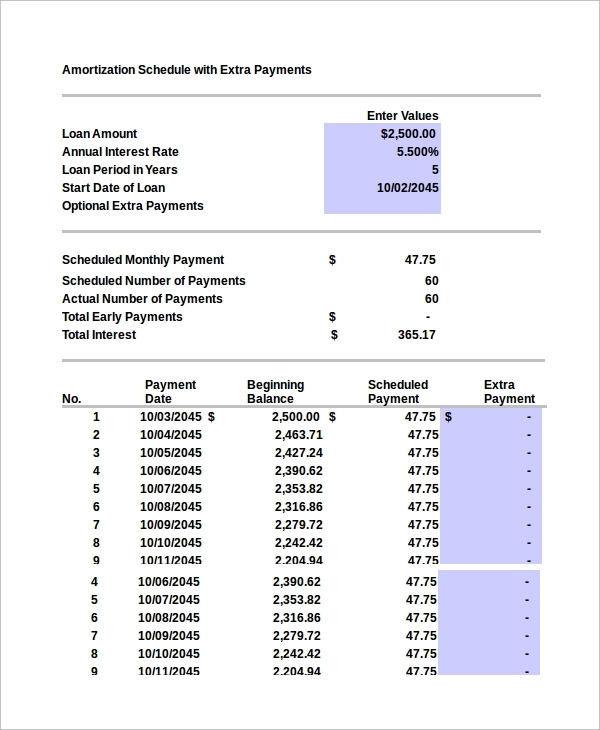 This Loan Amortization Schedule follows the basic format with the particular figures like the rate of interest, time and sum at the top. The columns represent the number of payments, beginning balance, ending balance, cumulative interest and so on. Here, the original figures and instructions are included at the top. It is followed by the number of payments, amounts of payment and other particulars. Then, the information regarding beginning balance, ending balance and other information is presented. 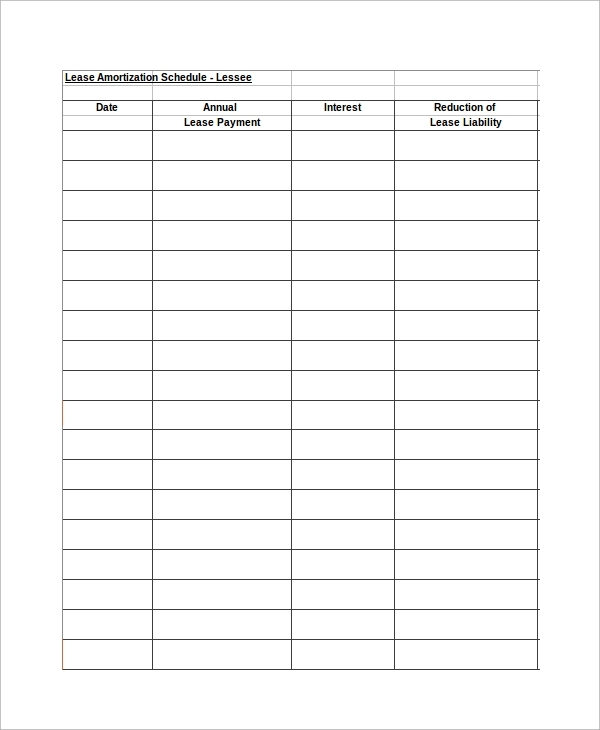 Amortization Schedule Calculator is a standard template where you can alter the rate of interest and the period as per the requirements. It displays the necessary information that enables you to understand how much money you need to repay. Financial matters are of immense importance for the lenders as well as the borrowers. If you have a clear concept of the amount of money you should pay from time to time, it becomes easy for you to arrange for the money. These documents are primarily used in banks when the professionals explain the schemes to their clients. 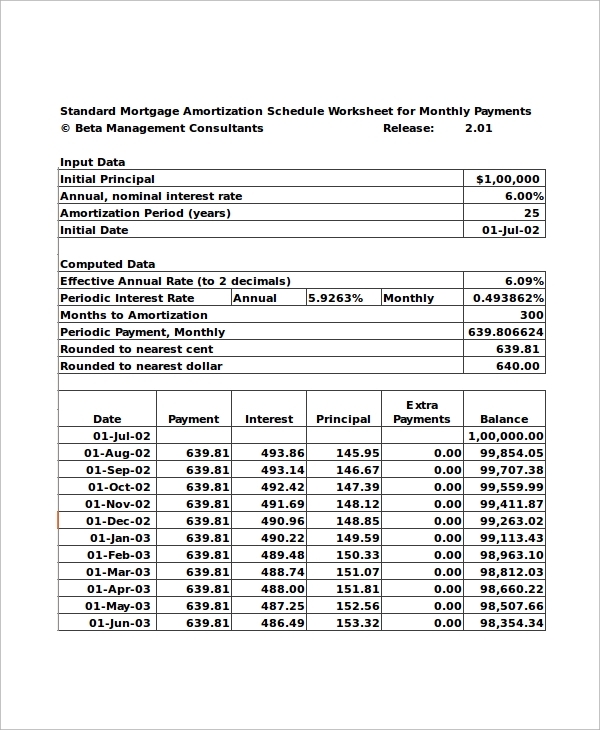 You can also see the Mortgage Amortization Calculator Samples. Individuals too, use these templates to plan their investments. If you need to take a loan, you can calculate the amount of money you need to repay by entering relevant inputs into the chart. Therefore, in any borrowing or lending activities, these templates are of optimum importance. 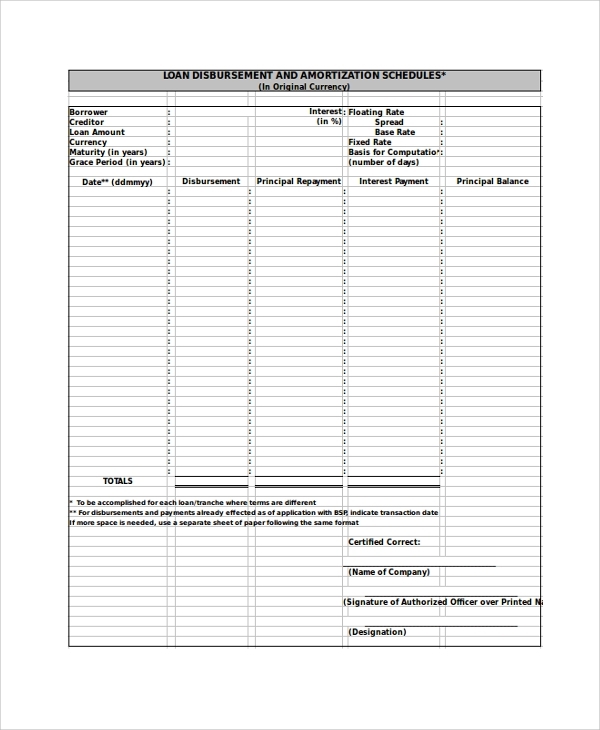 This is a more formal template with the names of borrower and lender at the top. The particulars like total sum, the number of payments and other details are presented in brief before proceeding to the tabular format. When the loan is to be repaid on a monthly basis, you need to pay a particular amount on a particular date every month. This format allows you to understand the payment framework in a simplified manner. What information do these Samples Display? 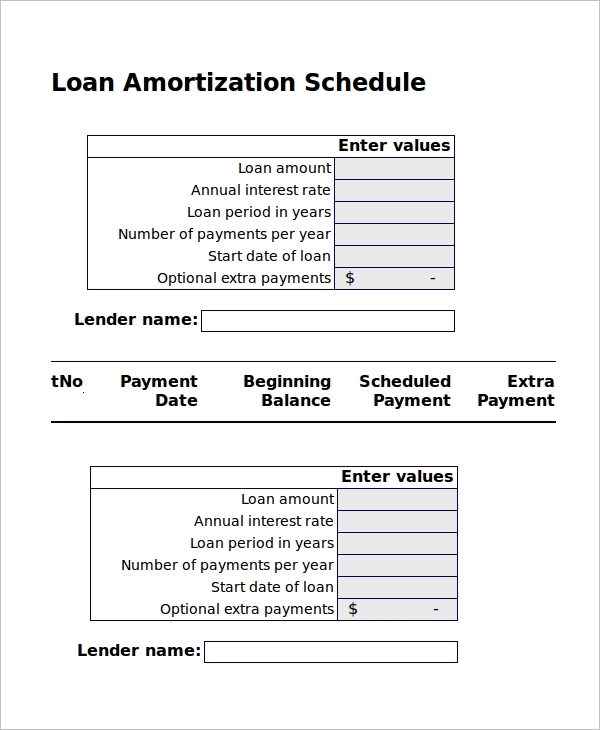 A typical amortization template consists of all the details related to the investment and repayment. On the top of the chart, the key figures are mentioned for the benefit of the use. These include the rate of interest, period, total sum, payment dates and so on. Below this, there are different columns with relevant information about payment date, payment number, remaining balance, the rate of interest, extra payment and ending balance. You can calculate the total number of payment required to repay the sum from the chart. Thus, it helps you to plan your financial transactions in a systematic manner, and you will not face any misinterpretation on payment. 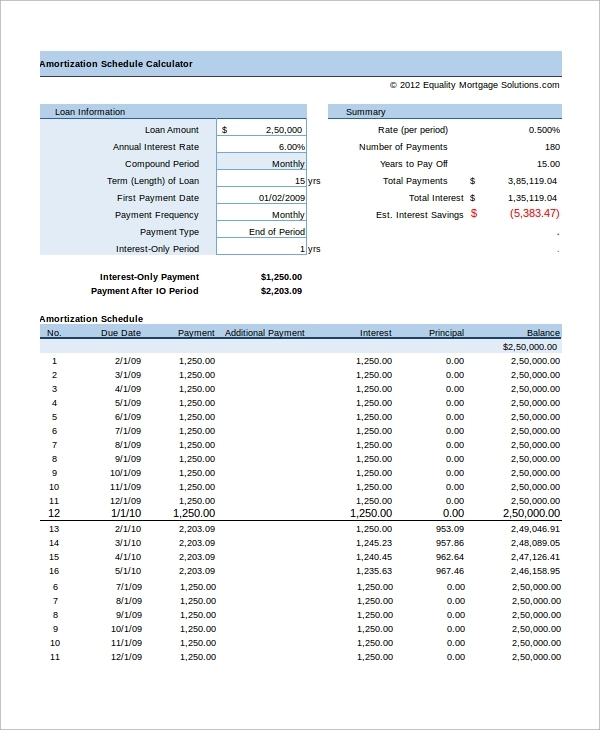 You can also see the Mortgage Payoff Calculators. You need to be careful about the dates of repayment and the total number of payments, as the failure to pay in time often results in penalties. It is for this reason that Loan Calculator Excel Samples are so important for you. You can browse through the website and find the right template that will assist you in calculating the financial aspects.